Two Saudi pilots were killed when their helicopter came down in the eastern Yemeni province of al-Mahra on Friday, the Saudi-led coalition fighting the Houthi group in Yemen said. In a statement carried by the Saudi Press Agency, the coalition said the helicopter, which belongs to the Saudi ground forces, had crashed following technical issues. 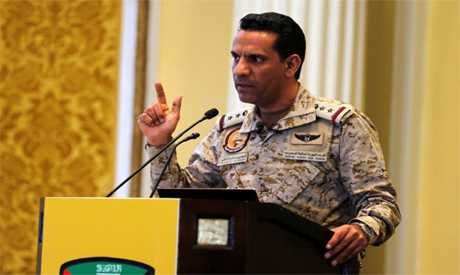 "(The helicopter came down) when it was carrying out its tasks of fighting terrorism and smuggling in al-Mahra in Yemen," the statement said, quoting the coalition spokesman Colonel Turki al-Malki. The Western-backed coalition intervened in Yemen in 2015 to restore the internationally recognised government in exile, in a war widely seen as a proxy war between Saudi Arabia and Iran. Al-Mahra province, bordering Oman in east Yemen, has seen little fighting compared to the rest of the impoverished country. However, suspected militants from al Qaeda in the Arabian Peninsula (AQAP) have been active in the region.